Never the world's most highly animated showman or greatest stage personality, but a tone so beautiful it sometimes brought tears to the eyes, this was Johnny Hodges. Because of this great loss, our band will never sound the same. 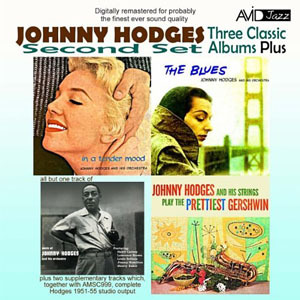 Johnny Hodges sometimes sounded beautiful, sometimes romantic, and sometimes people spoke of his tone as being sensuous. With the exception of a year or so, almost his entire career was with us. So far as our wonderful listening audience was concerned, there was a great feeling of expectancy when they looked up and saw Johnny Hodges sitting in the middle of the saxophone section, in the front row. I am glad and thankful that I had the privilege of presenting Johnny Hodges for forty years, night after night. I imagine I have been much envied, but thanks to God....” Duke Ellington eulogy. John Cornelius Hodges was born on the 25th July 1906 in Cambridge, Mass. He started his musical career playing drums and piano before taking up the saxophone at the age of 14, beginning on the soprano and later the alto. Originally self-taught he was given lessons by Sydney Bechet, whom he got to know through his sister. He followed Bechet into Willie 'The Lion' Smith's quartet at the Rhythm Club (around 1924), then played in the house band with Bechet's Club ‘Basha’ in Harlem. He continued to live in Boston and traveled to New York at weekends playing with such musicians as Bobby Sawyer (1925), Lloyd Scott (1926), then from late 1926 with the great Chick Webb at The Paddock Club and The Savoy Ballroom, etc. followed by a short stint with Luckey Roberts. In March 1951 Johnny left Duke to form his own small group taking with him Lawrence Brown and Sonny Greer and in their first recording session they produced a hit record of “Castle Rock.” Johnny disbanded the group in the spring of 1955 and after a brief spell of TV work on the Ted Steele Show, rejoined Duke in August of that year where, apart from a few brief periods, he remained for the rest of his life. In the spring of 1958 he worked with Billy Strayhorn and in 1961 went to Europe with some of the other band members in a group called The Ellington Giants. He continued to record prolifically with musicians such as Wild Bill Davis, Earl Hines, and even one session with Lawrence Welk. Duke and Billy Strayhorn continued to write compositions and arrangements featuring Johnny's unique sound and talents leaving a wonderful legacy of recorded music for the enjoyment of successive generations of enthusiasts. He won the admiration of many saxophonists such as Ben Webster and even John Coltrane who played in one of the small groups in 1953-4 said that Johnny was always one of his favorite players. In his later years Johnny used fewer and fewer notes, remaining close to the melody in ballads and improvising simple but telling riffs on the faster numbers, many of which were based on the blues . The power of his playing came from his sound and his soul, generating immense swing and building the dramatic tension from chorus to chorus. His last attempt at recording was the monumental “New Orleans Suite,” but he would not live to see the final product. Johnny Hodges died of a heart attack in New York City on the 11th May 1970. All About Jazz musician pages are maintained by musicians, publicists and trusted members like you. Interested? 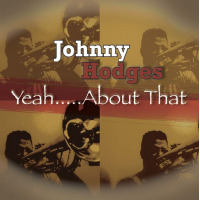 Tell us why you would like to improve the Johnny Hodges musician page.